The economic pain and social strain of uncertain auto industry employment will be dramatized on a Detroit stage. 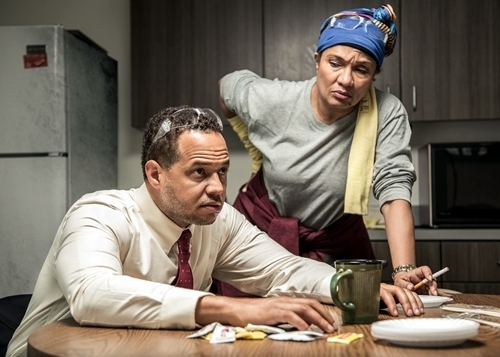 "Skeleton Crew," the third play in an acclaimed trilogy by local dramatist Dominique Morisseau, comes to Detroit Public Theatre for four weeks. The two acts are set in the break room of a small Detroit stamping plant in the winter of 2008. Times are tough and getting tougher. Shifts are being cut and everyone is a paycheck or two away from the streets. "Skeleton Crew," which starts regular performances Saturday after two nights of public previews, launches the young theater's third season. Dominique Morisseau: The playwright is a Cass Tech High graduate, as are the lead actors shown above. Shanita, a second-generation line worker, has to support herself and her unborn child. Faye, a union representative who has been on the line 29 years, has hit bhgard times. "One minute you passin’ the woman on the freeway holdin' up the 'will work for food' sign. Next minute, you sleepin' in your car," she says. Dez wants to open a body shop and is just a few months of overtime away from buying his own garage. Their recently promoted foreman, Reggie, is torn between doing right by his work family and by management. "When the line between blue collar and white collar gets blurred," says the Detroit theater's synopsis, "how far over the line are they willing to step?" The theater in the Fisher Music Center (the Detroit Symphony's home on Woodward), earlier staged "Detroit '67" -- No. 1 in the Cass Tech graduate's hometown cycle. (Her third drama is "Paradise Blue," first produced in 2015.) 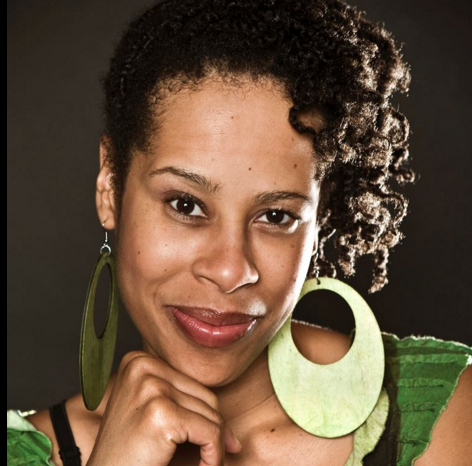 Morisseau, a University of Michigan alumna (2000), is 39 and lives in New York. Detroit's production stars Brian Marable as Reggie and Ella Joyce as Faye -- both also native Detroiters with Cass Tech diplomas. Joyce, with a long list of stage and screen credits, lives in Burbank, Calif. Performances: Sept. 28-29 previews ($20-$35); Sept. 30-Oct, 29 (Wednesdays-Sundays). Times: Wednesday, 10 a.m.; Thursday-Saturday, 8 p.m.; Sunday, 2 p.m.; Saturday, Oct. 21, 2 p.m.
Tickets (all open seating): Wed.-Fri., $35; weekend matinees, $40; Saturday nights, $45; under 35, $20; over 60, $30; group (10 or more), $25.